ir Ian Botham has mouldy toenails. He also has rather beautiful calves; both doubtless the product of his 27-year pounding of almost 10,000 miles of the British landscape in a mission to raise £13 million and counting for Leukaemia & Lymphoma Research. This week, he is walking 150 miles between Glasgow and London, arriving at his final destination today. And so I find myself in a Manchester bedroom admiring said calves, while Rooster, his trusty physio, places ice cubes between the Botham toes, the scent of man-sweat hanging in the room. Time was when being in Beefy’s bedroom might have held more racy connotations, reminiscent of the tabloid fantasy in which he broke a bed with Miss Barbados. Rest assured, today not only is his wife of 36 years, Kath, now Lady Botham, in the bath next door, his two-year-old grandson Kieran is playing next to him, his aunt Sarah keeping him entertained, while Botham’s mother-in-law stands chuckling behind me. For the legendary England all-rounder’s walks are a multi-generational jamboree that goes some way to compensate for the time he used to spend absent on foreign tours (up to five months a trip). Indeed, the only occasion he is at a loss for words is when Read the rest of this entry ? The West Indies Women and Sri Lanka Women will be training on Monday and Tuesday at Kensington Oval ahead of the opening match in their eight-match series. At the conclusion of training a player or team official will be available to speak to the Media. History in the making as Shillingford prepare for “home” Test: Shane Shillingford is set to create history on Monday when Read the rest of this entry ? When Kumar Sangakkara challenged Sri Lanka’s political establishment during the MCC Spirit of Cricket Cowdrey Lecture at Lord’s last summer, it came as no surprise. His powerful intellect comes with an impulsive nature and a principled belief in right and wrong; his strong sense of national identity carries with it an idealism about how his country should develop after its long terrorist war. The lecture provided a platform to examine the ethics of Sri Lankan cricket; scribbling his speech in spare moments during the England tour, he did not waste his opportunity. 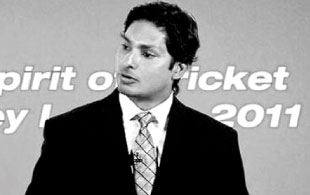 “Writing that speech became a deep personal experience,” says Sangakkara. “I knew there were ways it could be misinterpreted, but it was a story I felt I needed to tell. I was greatly moved by the response, especially in Sri Lanka, where many people seemed to identify with what I was saying.” Read the rest of this entry ? Sri Lanka’s Kumar Sangakkara on Thursday expressed happiness on being named Wisden’s leading cricketer in the world and one of its five cricketers of the year. “It’s a great honour. Very humbled and privileged. I have had a good year in 2011. Hopefully, I will have a couple of more fruitful years before I finish,” Sangakkara, the captain of the IPL franchise Deccan Chargers, told reporters here at an event. Sangakkara said that Australian cricketer Ian Healy’s advice on wicket-keeping helped him a lot. “When I started, I wasn’t a natural wicketkeeper but it was a case of making sure that you went and spoke to the right people. 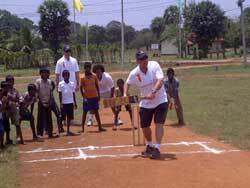 I have been to a few wicket-keeping coaches. Sometimes, they confused me more than actually teaching me something. Read the rest of this entry ? The entire team rose up in respect when one of the greatest fast bowler to have played the game Sir Richard Hadlee paid a visit to the Sri Lankan dressing room during the first Test Match in Christchurch. While Hadlee collected a few autographs from the players, he apparently asked Chaminda Vaas how his great pal Percy Abeysekara was. 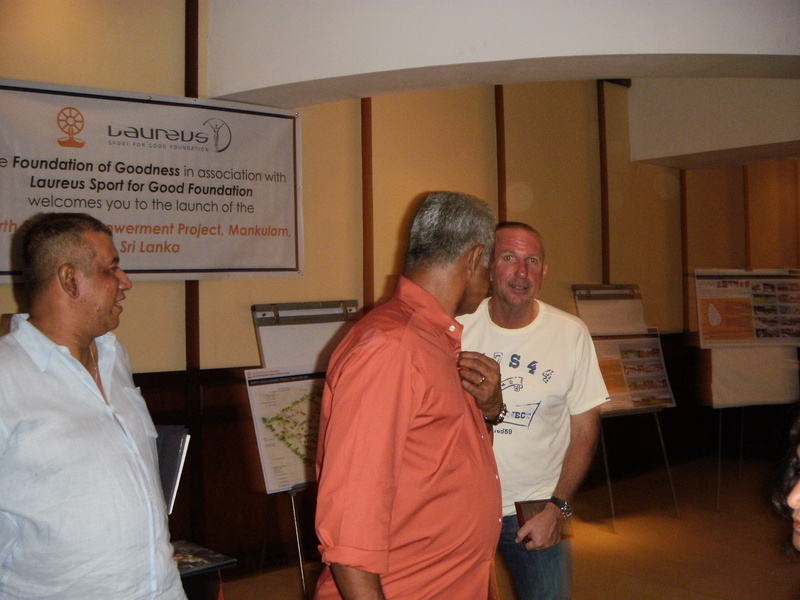 Hadlee has been a great admirer of Percy and had even presented the Sri Lankan cheerleader some of his memorabilia after he saw the Sri Lankan’s knowledge and passion for the game. ‘Percy, don’t lose your voice, Sri Lanka needs it more than you,’ he’s supposed to have written in one of Percy’s autographs. Many players have had a liking for this cheerleader. His knowledge of the game and its history is second to none and Percy comes up with certain anecdotes that stun you at times. 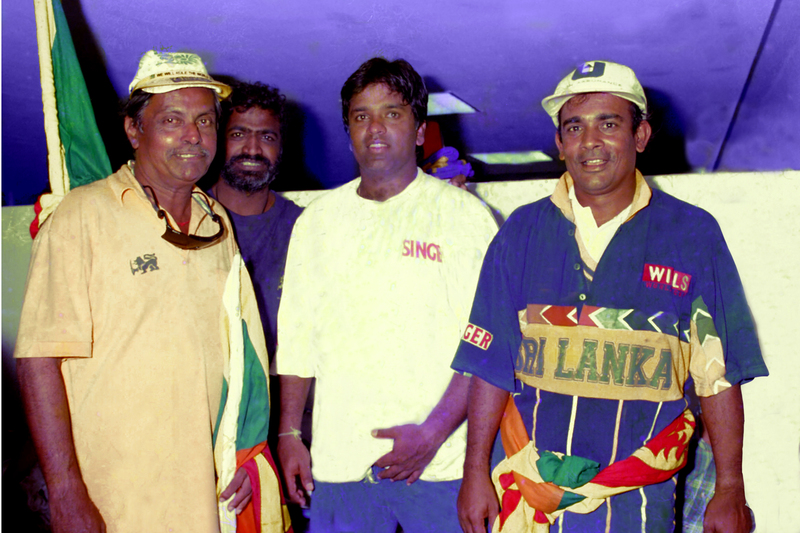 Percy has been a usual visitor to the cricket ground even before the country gained Test status and present day Sri Lankan players call him affectionately ‘Uncle Percy’. No doubt that some of his comments have angered overseas players, but none of them have a had a row with him for they know that Percy doesn’t mean any harm. 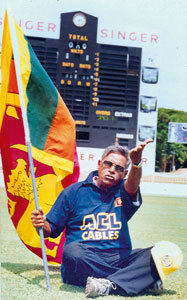 Today in ‘Outrageous moments of Sri Lanka Cricket’, we look back at some of those unforgettable comments by Percy the legend. Read the rest of this entry ? FIND a way to win, Michael Clarke instructed his players, and find a way they did yesterday in the gathering gloom at Kensington Oval to achieve one of the great victories in Australian Test cricket history. This was a triumph Norman Vincent Peale would have delighted in. A Test match win, like success generally, has many fathers usually but this one over the West Indies in the first of three Tests for the Frank Worrell Trophy series had only one – the power of positive thinking. Before this victory – as special, Clarke said, as any in his career – could so dramatically be enacted on the field, it first of all had to be conceived and it is little short of astounding that any Australian would even have thought of it midway through the fourth day, with the West Indies needing only two more Australian wickets to take a massive lead of more than 150 runs into the second innings. Read the rest of this entry ? At the end of the third day in the ongoing second Test against England, Sri Lanka used the services of a night-watchman (Dhammika Prasad) to open the innings to face just one over. What was even more strange was the fact that the night-watchman shielded the more skilled batsman (Lahiru Thirimanne), by refusing singles! This begs the question, why should a lesser skilled batsman be expected to face the music, while his more skilled team-mate is cooling his heels in the pavilion? However, there was a very interesting instance when the legendary Don Bradman used the same ploy – but look at the circumstances and the reasoning behind the tactic. 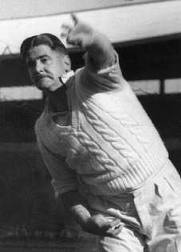 It was the third Ashes Test in the 1936-37 series played at Melbourne. Australia, captained by Bradman for the first time, had lost the first two Tests in the 5-Test series. Indeed, an inquiry had been instituted by the Australian Cricket Board that certain members of the Australian team were not supporting Bradman! Incidentally, Bradman’s scores in the first two Tests were as follows: 38, 0, 0 and 82. 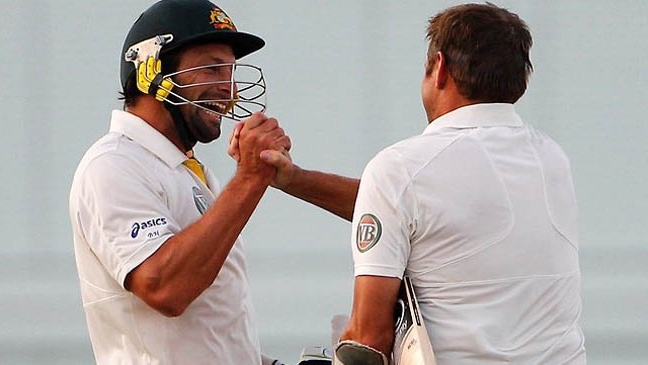 Australia had lost the first Test by 322 runs and the second by an innings and 22 runs. Read the rest of this entry ? You are currently browsing the Critiquing Cricket blog archives for April, 2012.